A divergent trend was witnessed as the barometer index, the S&P BSE Sensex, settled with small gains while the Nifty 50 index registered small losses. The Sensex extended gains for eight straight trading session. The Nifty snapped seven-day rising trend. Stock markets will remain closed on Thursday, 21 March 2019, on account of Holi. 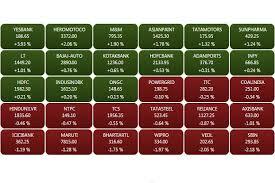 The barometer index, the S&P BSE Sensex, rose 23.28 points or 0.06% to 38,386.75. The index hit high of 38,489.81 and low of 38,316.21 in intraday trade. The Nifty 50 index fell 11.35 points or 0.10% to 11,521.05. The index hit high of 11,556.10 and low of 11,503.10 in intraday trade. Trading kicked off on a negative note. Shares, however, gained vigor in morning trade amid broad based buying support. Indices pared gains in mid-morning trade as profit booking emerged at higher levels. Benchmarks hovered near flat line in afternoon trade and turned range bound in mid-afternoon trade.  Gains were capped as investors adopted a cautious stance prior to the Federal Reserve's policy decision and further news on US-China trade talks. Among secondary barometers, the BSE Mid-Cap index fell 0.36%. The BSE Small-Cap index fell 0.33%. The market breadth, indicating the overall health of the market, was negative. On BSE, 1112 shares rose and 1561 shares fell. A total of 182 shares were unchanged. Among the sectoral indices on BSE, the S&P BSE Realty index (up 2.21%), the S&P BSE IT index (up 0.93%), the S&P BSE Capital Goods index (up 0.48%) outperformed the Sensex. The S&P BSE Utilities index (down 1.84%), the S&P BSE Auto index (down 1.41%), the S&P BSE Oil & Gas index (down 2.26%) underperformed the Sensex. NTPC (down 4.29%), ONGC (down 3.28%), Coal India (down 2.43%), Tata Steel (down 2.41%) and Maruti Suzuki India (down 2.22%) were the major Sensex losers. Infosys (up 2.36%), HDFC Bank (up 1.39%), Yes Bank (up 1.27%), Larsen & Toubro (up 1.19%) and Sun Pharmaceutical Industries (up 1.07%) were the major Sensex gainers. DLF rose 2.6%. The company announced its second joint venture with Hines. DLF Home Developers (DHDL), a wholly owned subsidiary of DLF, and Green Horizon Trustee, an affiliate of Hines, have entered into a joint venture to develop a high-end commercial project in Gurugram. The announcement was made after market hours yesterday, 19 March 2019. Shares of Punjab National Bank (PNB) jumped 3.37% amid media reports that fugitive diamond jeweller Nirav Modi was arrested in London. The London police today, 20 March 2019, arrested PNB scam accused Nirav Modi. He will be produced in the Westminster court later in the day. The diamantaire is likely to get a bail, but authorities in UK might put conditions on his movement, media reports suggested. Jet Airways (India) lost 4.82% after the company said that an additional six aircraft (include one aircraft of Jet Lite (India)) have been grounded due to non-payment of amounts outstanding to lessors under their respective lease agreements. The company is actively engaged with all its aircraft lessors and regularly provides with updates on the efforts undertaken by the company to improve its liquidity. Aircraft lessors have been supportive of the company's efforts in this regard. The company is also making all efforts to minimize disruption to its network and is proactively informing and re-accommodating its affected guests. The company also continues to provide required and periodic updates to the Directorate General of Civil Aviation in this regard. The announcement was made after market hours yesterday, 19 March 2019. Newgen Software Technologies surged 9.86% after the company announced the issuance of Patent, entitled Integrated and Automatic Generation of Carbon Credits. Newgen's platforms enable organizations to save operational costs by replacing paper and file movement with digital workflows and document management. Newgen's invention is a carbon credit analyzer coupled with the process management unit, which helps organizations automatically estimate costs & savings associated with the processing of documents. These savings are then converted to equivalent carbon credits. The patent is valid till 10 June 2029. Newgen has filed for 44 patents till date, out of which 11 have been granted. And, there are 3 patents under examination in the US. The announcement was made after market hours yesterday, 19 March 2019. Overseas, most European and Asian shares declined as investors awaited a policy decision by the US Federal Reserve. US stock benchmarks on Tuesday closed mostly lower in a volatile session, as investors digested news on trade and awaited a policy decision by the rate-setting Federal Open Market Committee due Wednesday. Investors will focus on the statement issued by policy makers in the US.